Flying sail furlers: NEX, the new generation of flying sail furlers from Profurl. 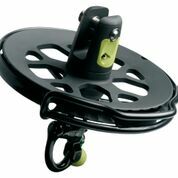 Fast, safe and easy flying sail hoisting and improved boat performance: this is what Profurl offers you with its range of NEX flying sail furlers. With 3 year worldwide warranty.